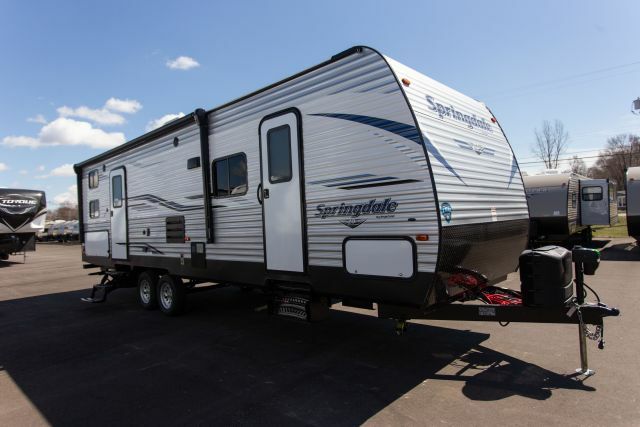 Check out this great Springdale 280BH Travel Trailer. This 32' 11" Travel Trailer has 1 slides and can sleep 6 people. It has a 52 gallon fresh water tank, 60 gallon gray water tank, and a 39 gallon black water tank. This unit has a height of 11' 3" ft 3 inches and a width of 8 ft 0 inches. Hitch weight is 805 lbs., ship weight is 7167 lbs., and the GVWR is lbs. Come see this fantastic Keystone Springdale 280BH today! You'll be glad you did! Get a Great Deal on Your Springdale Today! 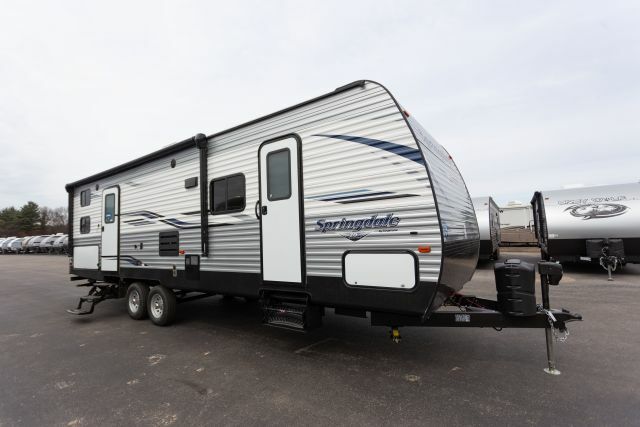 At Lakeshore RV, we offer a huge selection of the best RV brands at unbeatable prices, like this Springdale 280BH Travel Trailer! Our financing options make buying the perfect RV for you and your family easy and affordable. If you don't see the RV you're looking for in our inventory, you can use our Custom Build tool to pick and choose features that matter to you to customize your very own RV. We even offer delivery of your new RV directly to you, whether you live a few states away or on another continent. We'll bring it to you! Lakeshore RV wants to be your #1 RV dealer. 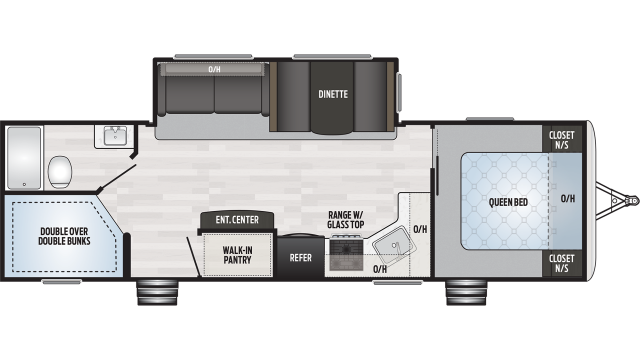 Visit or call us today to learn more about this Springdale 280BH Travel Trailer! Should I buy from a Springdale dealer near me? We actually encourage you to shop your local dealer. But make sure you talk to us about a Springdale RV. 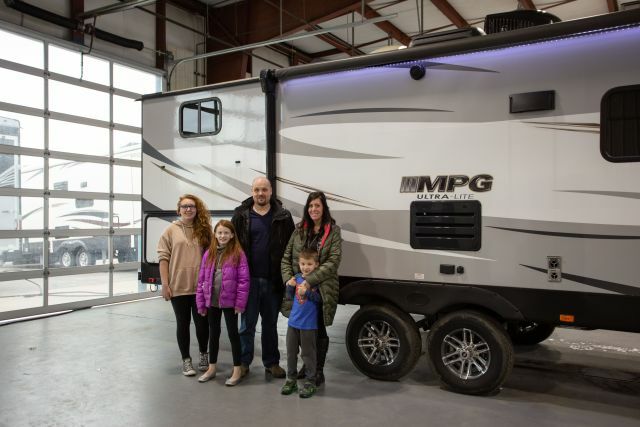 Visit our dealership, shop online or give us a call to talk about a Springdale Travel Trailer Toy Hauler or 5th Wheel or Travel Trailer. We offer the best prices, inventory, and nationwide delivery<sub>*</sub> to your door. What is a Keystone Springdale? A Keystone Springdale is a Travel Trailer or Toy Hauler or 5th Wheel sold by RV/Camper dealers in North America. What models does Springdale provide? Springdale manufacturered by Keystone has the following models 1800BH, 202RD, 225RB, 235RB, 239RB, 240BH, 252RL, 253FWRE, 253RE, 260BH, 260LE, 262FWRK, 262RK, 266RELL, 266RL, 266RLSSR, 267 BH, 267BH, 270BH, 270LE, 271RL, 272RE, 274RB, 278FWRL, 27TH, 280BH, 282BH, 286FWBH, 287RB, 291 RKL-GL, 291RKL, 293RK, 295RBSSR, 296BH, 297BHS, 298BH, 29BH, 300BH, 300FWBH, 302FWRK, 302RK, 303BH, 310BH, 311RE, 311RE SSR, 32TH, 332RB, 333RE, 38BH, 38FL, 38FQ, SG225RB, SG311RE. Where can I find a used Springdale for sale? We often have used Springdale Travel Trailer Toy Hauler or Travel Trailer or 5th Wheel in stock. But if you find that we don't have any at present check back or we can put you on a waiting list to be notified when one becomes available. 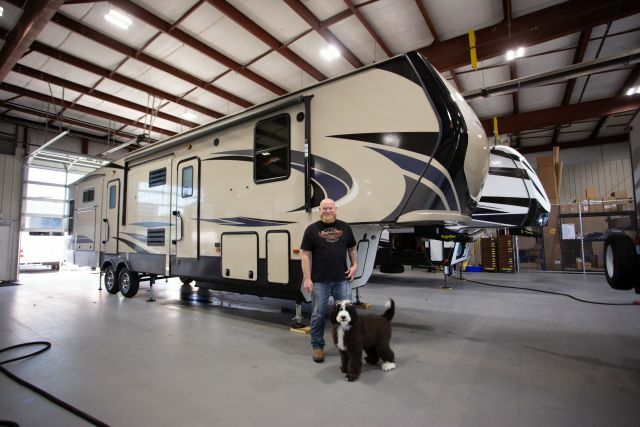 Check out other Travel Trailer Toy Hauler or Travel Trailer or 5th Wheels as you will find our new inventory competitive in many cases with other companies used prices. 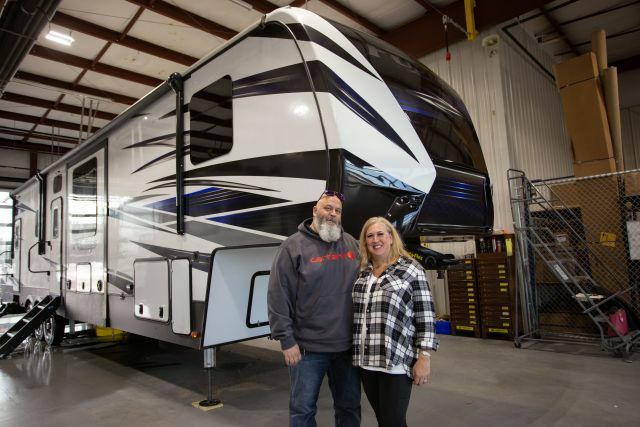 Springdale RVs are manufactured by Keystone.